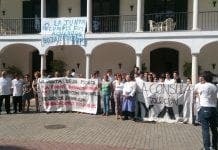 THE Junta has promised to save the celebrated La Consula cookery school with an urgent cash injection. The cookery school, in Churriana, popular with celebrities including Antonio Banderas, was forced to close a fortnight ago when a lack of supplies made it impossible for its pupils to cook. It led to dozens of pupils to go out into the nearby streets protesting, with a banner that read: ‘They’re robbing our future’. 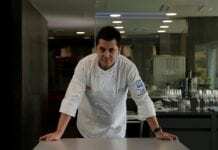 But now the Junta has promised to give the school – which has taught at least five Michelin-starred chefs, including Marbella’s Dani Garcia – the necessary €635,000 to keep it going. Financial problems have been accumulating over the last 15 months, as La Consula went further into debt. As resources dwindled, employees worked for months without pay. But while the school had been asking the Education Department for financial help for months, the government did not acknowledge its requests until late May. This grant from the Junta, half of which is to be paid up front, is meant to allow for La Consula’s reopening in September. While the school is staying optimistic about reopening, officials say it may take a while to get the restaurant back up and running.